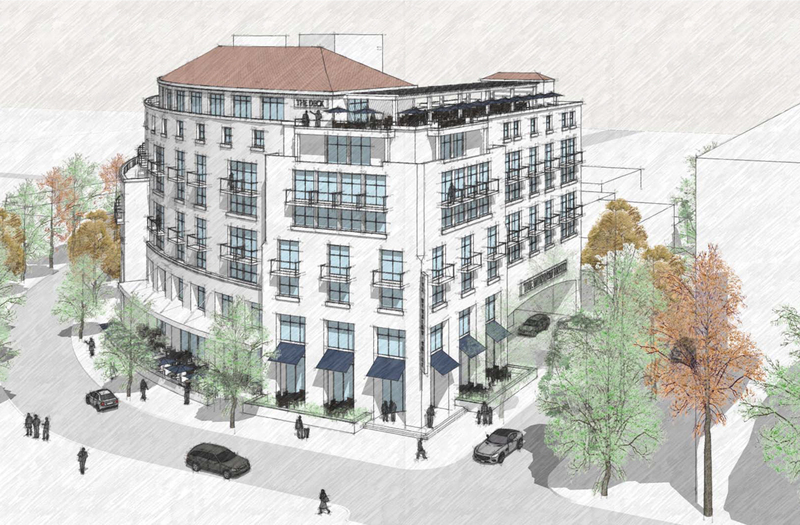 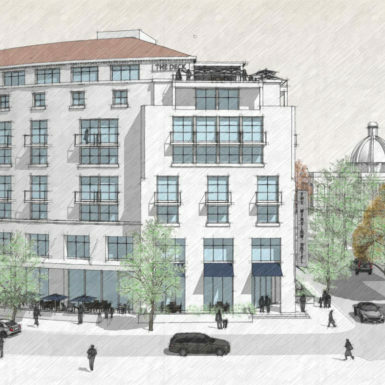 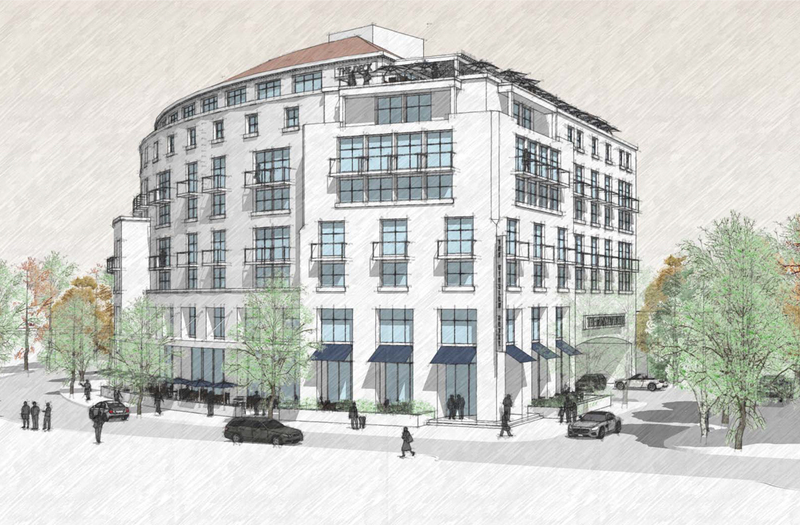 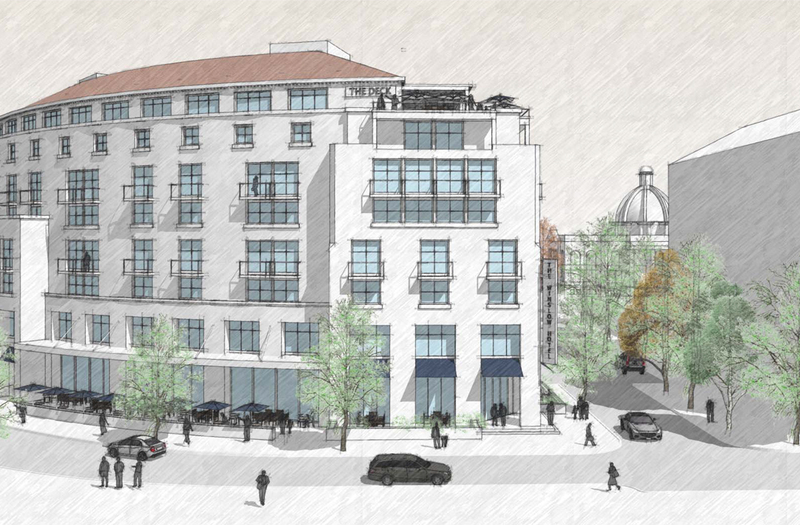 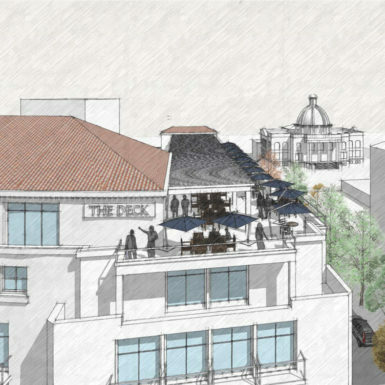 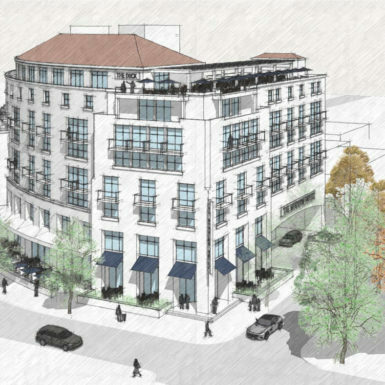 Working with Redwood City, our client, Loewe Enterprises envisioned a new hotel in the rejuvenated historic downtown area. 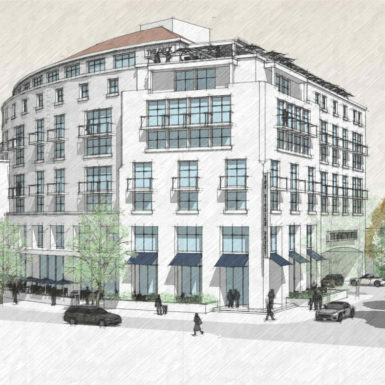 Located on a small, challenging site adjacent to the Caltrain station, the project was envisioned as a business oriented full-service hotel targeted at young workers in the area’s exploding high tech industry. 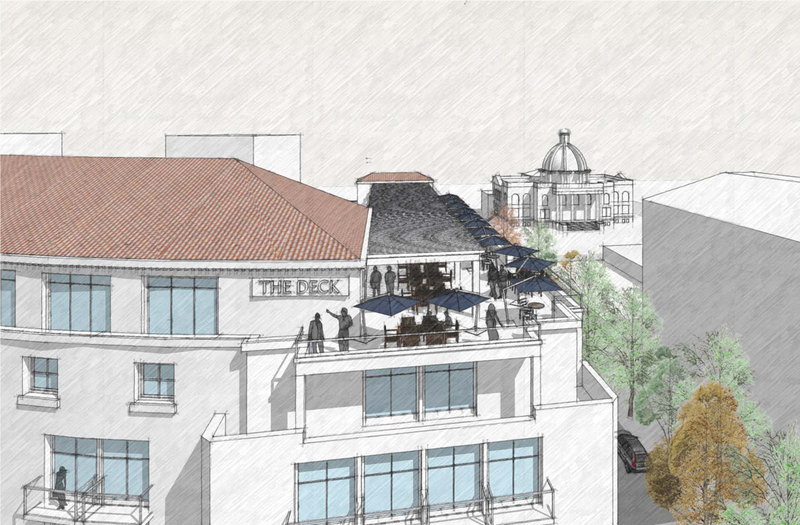 The design for the 133,000 sf hotel features 200 keys on 7 floors; underground parking for 200 cars; 5,000 sf of meeting rooms; a 1,250 sf spa and fitness area; and a roof top bar overlooking historic City Hall Plaza.